We are two teachers at Li Po Chun United World College (LPCUWC) in Hong Kong who share a love for our students, teaching and staying active. In the first week of September, we participated in the 70.3 World Championship Ironman Challenge to raise funds for a one-year student scholarship at LPCUWC which will potentially be matched by up to 100% -- thanks to the Davis-UWC IMPACT Challenge (more about the Davis-UWC IMPACT Challenge below). DOUBLE THE IMPACT of your gift. HAYLEY: Participating in sports and making it part of our daily life gives us the opportunity to challenge ourselves, set goals, motivate ourselves and others. It also gives us the ability to build strength, resilience and perseverance, all of which are fundamental building blocks to cope better with challenges that we may encounter. 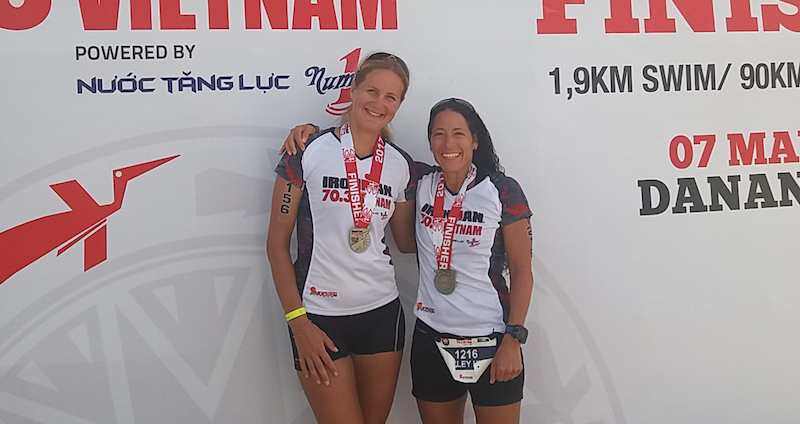 MARIT: I always had a dream to do Ironman at least once in my life. When I moved to Hong Kong and met Hayley who was doing triathlons, I found the best training buddy! I started triathlon training with her. I bought a bike in May 2015 and did my first triathlon (half ironman) in November, thanks to Hayley who supported me throughout the training and during my first race. Teaching in a diverse community such as Li Po Chun United World College of Hong Kong has taught us never to take education for granted. Every day we hope to bring smiles to our students’ faces, and we smile ourselves when we see the beautiful connections formed between students of different nationalities. Please help us realise the dream of giving one overseas student from a less advantaged background a life-changing experience and opportunity at LPCUWC. UWC (United World Colleges) is a global education movement that makes education a force to unite people, nations and cultures for peace and a sustainable future. The United World Colleges (UWC) Movement for education is fully non-profit and relies heavily on the kindness of donors to provide scholarships for students. The admissions process is need-blind and will only look at the financial background of an applicant after acceptance. Applicants have the opportunity to apply for need-based scholarships when reaching the Panel Interview stage of the admissions process. The funds raised in this crowdfunding campaign, will allow 1 student the opportunity to live, learn and grow at Li Po Chun United World College (LPCUWC) for 2 years – the duration of the International Baccalaureate (IB) diploma programme. The student will end their 2 years’ experience at LPCUWC with an IB and UWC diploma, a changed perspective of the world and a mission to make the world a better place. The funds raised in this campaign goes towards meeting the fundraising target needed to unlock and match more scholarship funds via Davis-UWC IMPACT Challenge. We have actively promoted and supported the United World Colleges Movement - which LPCUWC and 16 other schools are part of - for many years. This global education movement spans four continents and take in students from over 159 countries, creating some of the most diverse and culturally rich learning environments in the world. The Ironman 70.3 World Championship is an invitation-only long-course triathlon competition which will take place this year in Port Elizabeth, South Africa (the first time this has happened on the continent of Africa!). We’ll be taking on the personal challenge of completing a 1.9 km open-water swim, a 90 km bike ride as well as a 21 km run. There will be approximately 4,500 registered age-group athletes, representing more than 90 countries, territories and regions from around the world, are expected to compete at this year’s IRONMAN 70.3 World Championship. 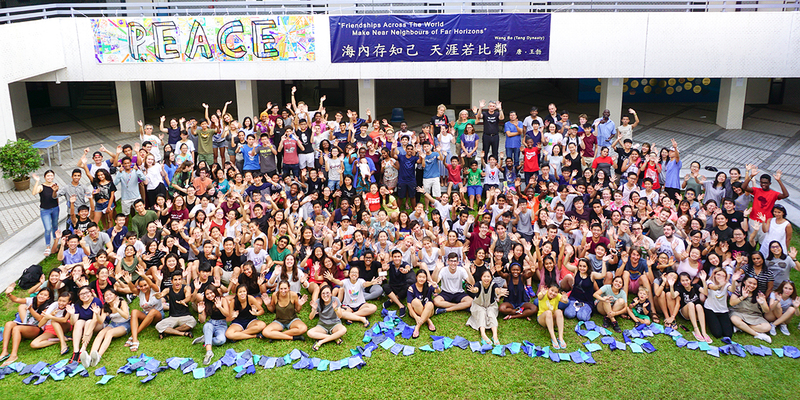 Not only are we dedicated to the UWC mission of making “education a force to unite people, nations and cultures for peace and a sustainable future”, but, with this Ironman challenge, we also hope to live out the movement’s core values of personal challenge and service and can get one humble overseas student to study at LPCUWC.